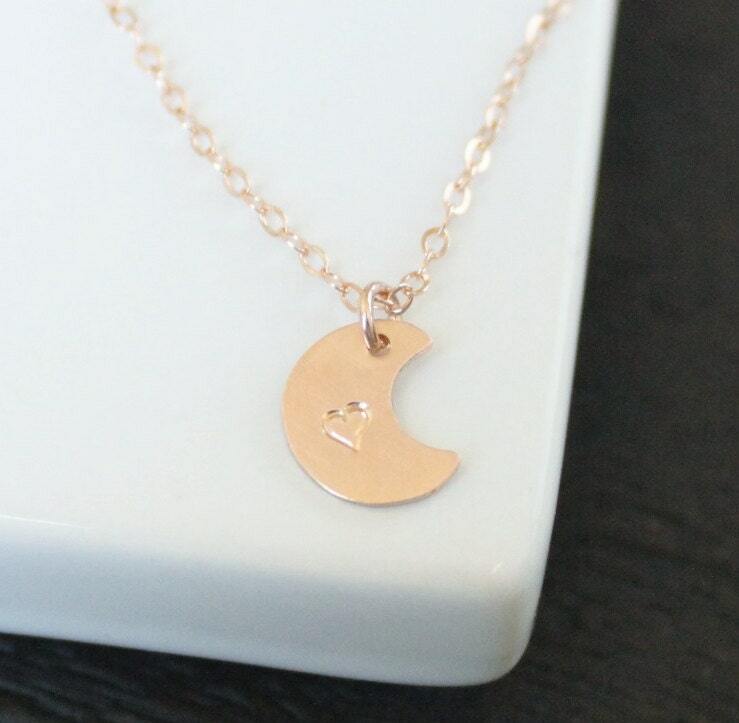 I love you to the moon, our dainty moon necklace is a sweet everyday reminder! 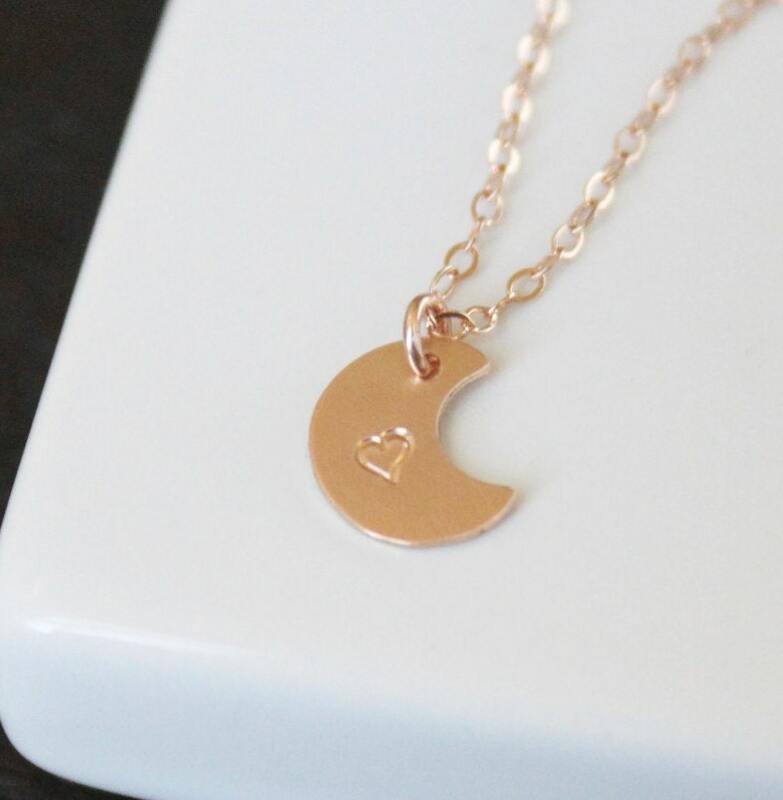 - Choose 14kt Gold-Filled or Rose Gold-Filled -not plated. 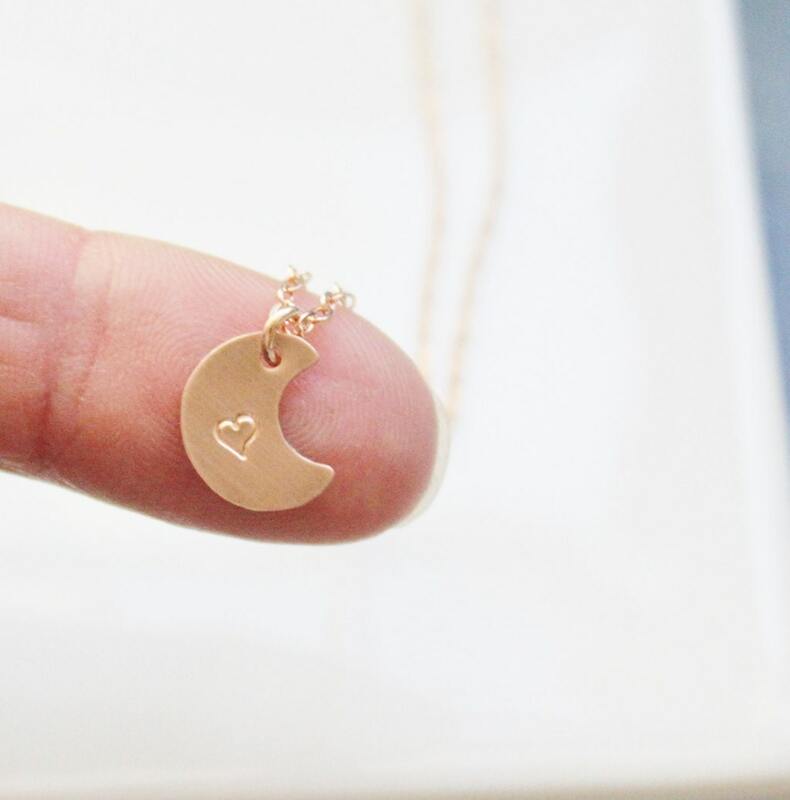 - This piece is a petite design, please see the 1st picture for size reference.